We open the last Saturday of September and run through October, opening from 1:00 – 6:00 on Saturdays and Sundays. 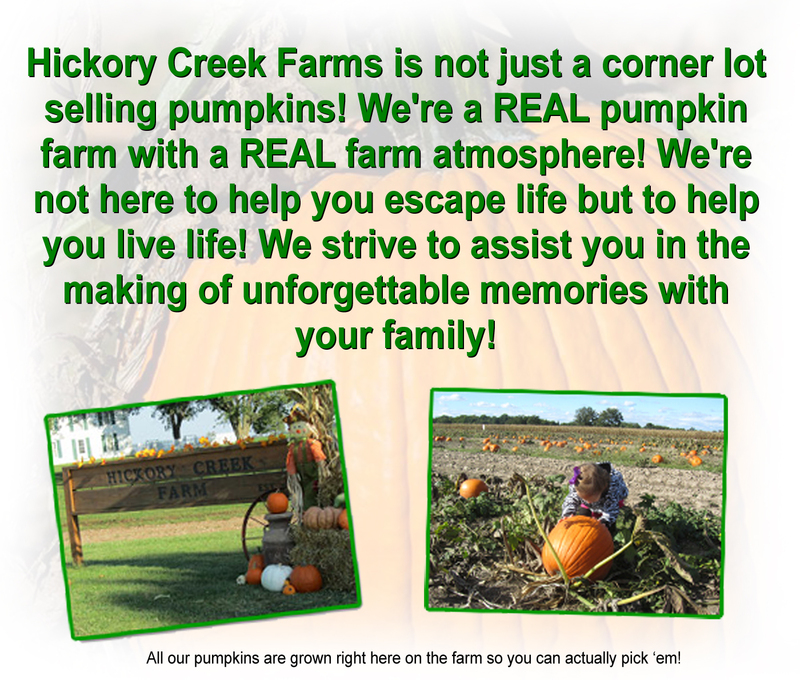 Hickory Creek Farms offers a wide variety of activities which are all included in the $8.00 admission fee (kids under 2 are FREE). 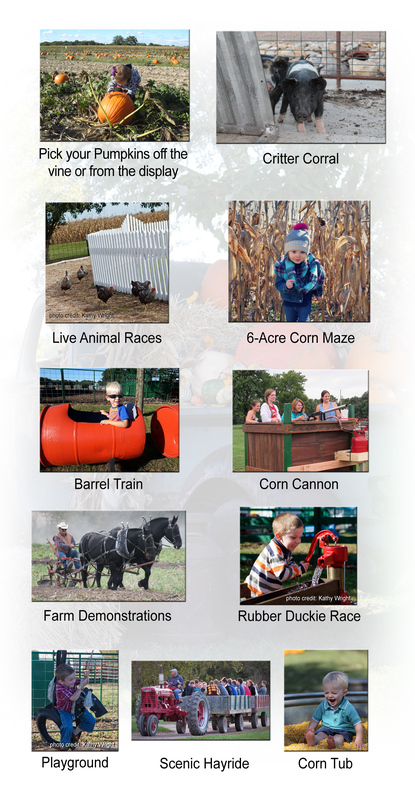 Groups of 15 or more qualify for a group discount.